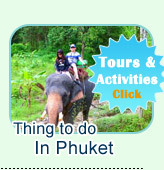 PP Island + Maithon Island: The Day new route tour of Phuket. To avoid the crowded people and the old places (Those you may have been before or the places was destroyed by the crowded tourist) This trip is all difference: The new destination, the nature is full, the beach is so virgin and no crowded. 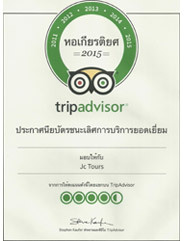 This is the newest destination of Jc.Tour, we just started the program. We very recommend you see the highlight pictures of the destinations in the program, read the detail and study the program carefully before submit the booking. To make sure that you have got the tour as you expected..
PP Island at the difference point. This trip visit the difference destination on Phi Phi Island - Rantee Beach or Lam Tong Beach for snorkeling. And sightseeing pass around the beautiful nature - Viking Cave, Monkey Beach, Camel Rock and Nui Beach. This is the real new route of PP Island! The Virgin Island of Phuket Archipelago. It is private Island, but our speed boat can run around and stop at the beautiful place for snorkeling (Nice and completed coral with full of marine life) As well as, the dolphins can be seen very often. - Arrival the Pier, we serve the hot drinks (Coffee or Tea) with cookies. In the same time, our tour guide brief the program and fit the size of snorkeling gears. 09:05 AM: The speed Boat depart from the pier, directly run to Maithon Island - The private virgin island. - Stop for snorkeling at the end site of the Island. - Sightseeing around the Island. 11:00 AM: We leave the Virgin Island to Phi Phi Don Island. 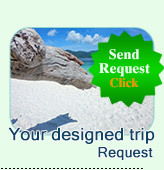 - We must do sight seeing Monkey Beach and Viking Cave. 12:30 PM: Stop on Phi Phi Island for lunch at Tonsai Bay. Real nice beach. 13:30 PM: We stop at the Virgin Bay of PP Island - Rantee beach for snorkeling. 14:30 PM: Stop at the Signature Point of PP Island - Camel Rock for snorkeling and taking a photo on Nui Beach. 16:00 PM: The speed boat run fast back to Phuket and arrival the Pier. 16:30 PM: The nice minibus transfer you back to the hotel. "The program is subject to change due to daily weather and sea conditions" However, all condition upon the customer benefit. Lunch on Ton Sai Bay. All entrance fee the Destination. Notice: Our trip is not recommended for pregnant woman.